All Haus Profi™ products in the range have been developed as lead-free alternatives. 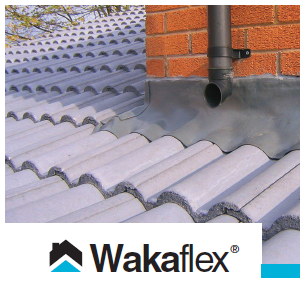 Wakaflex a flexible lead free flashing which can chemically bond to itself is the perfect solution for sealing abutments and pitch transitions on roof up stands, dormers, chimneys and walls as well as providing a stepped, roof light and solar panel flashing. Being non-toxic, Haus Profi products are suitable for use with rainwater harvesting systems and present no lasting health hazard. The Wakaflex Uni Outlet and Sabetoflex sealing collars are ideal for applications including sealing gas and wood burner flues through pitched and flat roofs. 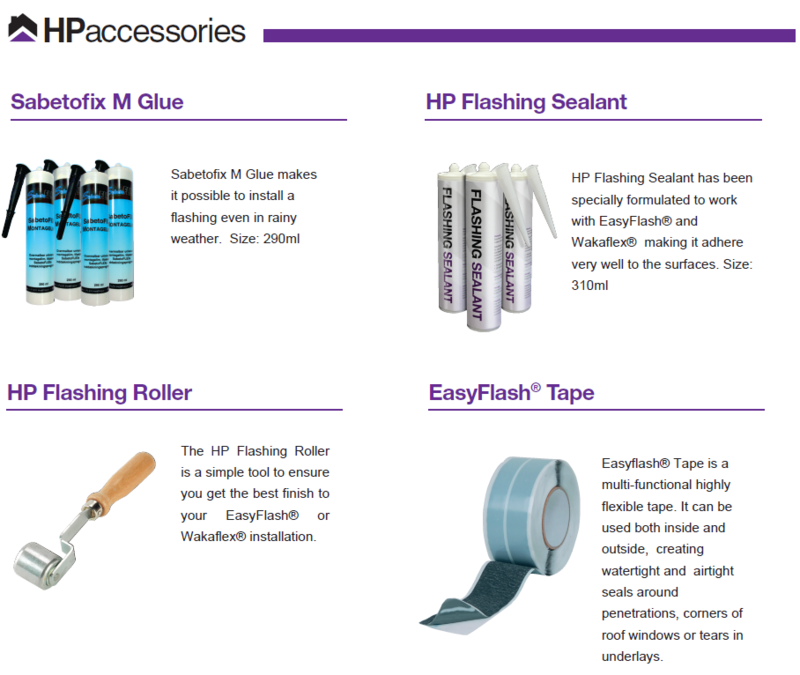 Wakaflex® is a flexible, self-adhesive flashing designed to replace lead in most modern roofing applications. 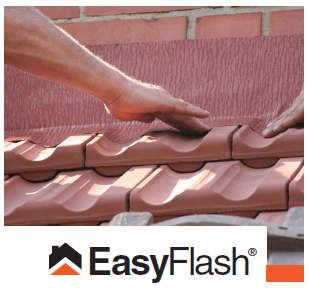 EasyFlash® is a lightweight, universal flashing for the sealing of abutments between walls and roof tiles. 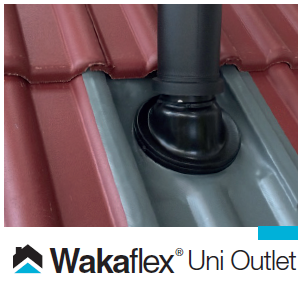 Wakaflex® Uni Outlet is a lead-free, flexible, adhesive sealing collar where flue pipes and soil stacks penetrate the roof.